How Much Does an Eye Doctor Make a Year? Eye doctors, formally known as optometrists, are the primary providers of eye care. Optometrists check patients' eyes for vision problems, depth perception and accurate color recognition. Optometrists earn a higher-than-average salary and have a strong job future. While it was first thought that lasik surgery would harm optometrists' opportunities, the pre- and post-operative care they provide has provided them with more clients. National salary information collected by Pay Scale states optometrists earn between $74,000 and $100,000 on average. Bonuses add between $1,000 to nearly $10,000 to that number, and profit-sharing can add as much as $10,000. Optometrists earning commission report an additional $2,000 to $15,000 to their yearly income. Annual earnings, therefore, can be significantly higher than the base pay. Optometrists who work for themselves have the greatest potential for profit, though they also must face risk. Self-employed optometrists report earnings of as much as $120,000 annually. Those who work for a university can expect to make between $50,000 and $86,000. Optometrists employed at a hospital can expect to make between $76,000 and $103,000, and those employed by either local or state government can command as much as $117,000 a year. An optometrist who has less than a year of practical experience should expect a starting salary of between $69,000 and $90,000 a year, depending upon the area, the type of practice and the number of people employed by the practice. An optometrist with 10 to 19 years in the industry can expect to make between $79,000 and $117,000, and one with more than 20 years' experience can make as much as $122,000 annually. The job outlook for optometrists is excellent and the growth rate of opportunities is expected to be faster than average. According to the U.S. Department of Labor, the number of jobs for optometrists is expected to grow by 24 percent between 2008 and 2018. Due to the limited number of schools offering training for this field and the growing demand for optometrists, competition is quite fierce, resulting in such a small number of graduates that it cannot keep up with demand. Julia, Brooke. "How Much Does an Eye Doctor Make a Year?" , https://careertrend.com/how-much-does-an-eye-doctor-make-a-year-13654499.html. 26 September 2017. What Specific Classes Do I Take to Be an Eye Doctor? 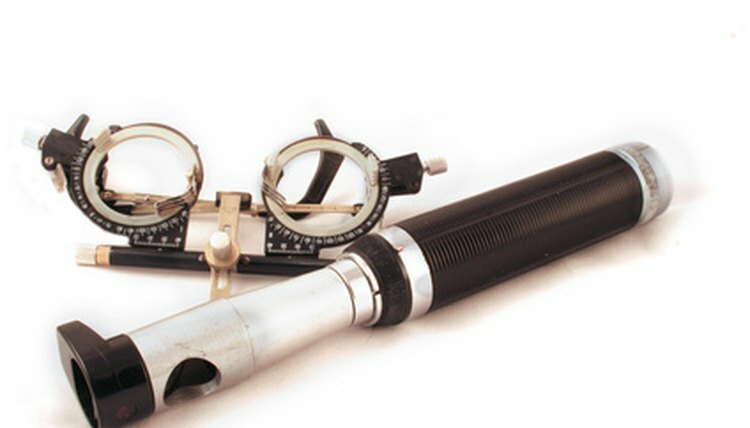 What Are the Benefits of Being an Optometrist? What Is the Salary of a Retinal Eye Surgeon?